As an academic field, philosophy of education is "the philosophical study of education and its problems...its central subject matter is education, and its methods are those of philosophy". "The philosophy of education may be either the philosophy of the process of education or the philosophy of the discipline of education. That is, it may be part of the discipline in the sense of being concerned with the aims, forms, methods, or results of the process of educating or being educated; or it may be metadisciplinary in the sense of being concerned with the concepts, aims, and methods of the discipline." As such, it is both part of the field of education and a field of applied philosophy, drawing from fields of metaphysics, epistemology, axiology and the philosophical approaches (speculative, prescriptive, and/or analytic) to address questions in and about pedagogy, education policy, and curriculum, as well as the process of learning, to name a few. For example, it might study what constitutes upbringing and education, the values and norms revealed through upbringing and educational practices, the limits and legitimization of education as an academic discipline, and the relation between educational theory and practice. Instead of being taught in philosophy departments, philosophy of education is usually housed in departments or colleges of education, similar to how philosophy of law is generally taught in law schools. The multiple ways of conceiving education coupled with the multiple fields and approaches of philosophy make philosophy of education not only a very diverse field but also one that is not easily defined. Although there is overlap, philosophy of education should not be conflated with educational theory, which is not defined specifically by the application of philosophy to questions in education. Philosophy of education also should not be confused with philosophy education, the practice of teaching and learning the subject of philosophy. Philosophy of education can also be understood not as an academic discipline but as a normative educational theory that unifies pedagogy, curriculum, learning theory, and the purpose of education and is grounded in specific metaphysical, epistemological, and axiological assumptions. These theories are also called educational philosophies. For example, a teacher might be said to follow a perennialist educational philosophy or to follow a perennialist philosophy of education. 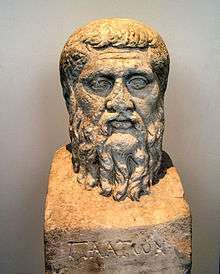 Plato's educational philosophy was grounded in his vision of the ideal Republic, wherein the individual was best served by being subordinated to a just society. He advocated removing children from their mothers' care and raising them as wards of the state, with great care being taken to differentiate children suitable to the various castes, the highest receiving the most education, so that they could act as guardians of the city and care for the less able. Education would be holistic, including facts, skills, physical discipline, and music and art, which he considered the highest form of endeavor. In the 12th century, the Andalusian-Arabian philosopher and novelist Ibn Tufail (known as "Abubacer" or "Ebn Tophail" in the West) demonstrated the empiricist theory of 'tabula rasa' as a thought experiment through his Arabic philosophical novel, Hayy ibn Yaqzan, in which he depicted the development of the mind of a feral child "from a tabula rasa to that of an adult, in complete isolation from society" on a desert island, through experience alone. The Latin translation of his philosophical novel, Philosophus Autodidactus, published by Edward Pococke the Younger in 1671, had an influence on John Locke's formulation of tabula rasa in "An Essay Concerning Human Understanding". 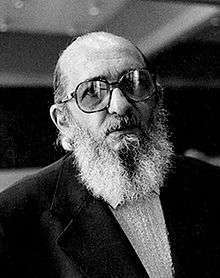 A Brazilian committed to the cause of educating the impoverished peasants of his nation and collaborating with them in the pursuit of their liberation from what he regarded as "oppression," Freire is best known for his attack on what he called the "banking concept of education," in which the student was viewed as an empty account to be filled by the teacher. Freire also suggests that a deep reciprocity be inserted into our notions of teacher and student; he comes close to suggesting that the teacher-student dichotomy be completely abolished, instead promoting the roles of the participants in the classroom as the teacher-student (a teacher who learns) and the student-teacher (a learner who teaches). In its early, strong form this kind of classroom has sometimes been criticized on the grounds that it can mask rather than overcome the teacher's authority. Educational progressivism is the belief that education must be based on the principle that humans are social animals who learn best in real-life activities with other people. Progressivists, like proponents of most educational theories, claim to rely on the best available scientific theories of learning. Most progressive educators believe that children learn as if they were scientists, following a process similar to John Dewey's model of learning: 1) Become aware of the problem. 2) Define the problem. 3) Propose hypotheses to solve it. 4) Evaluate the consequences of the hypotheses from one's past experience. 5) Test the likeliest solution. Another important contributor to the inquiry method in education is Bruner. His books The Process of Education and Toward a Theory of Instruction are landmarks in conceptualizing learning and curriculum development. 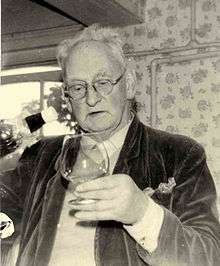 He argued that any subject can be taught in some intellectually honest form to any child at any stage of development. This notion was an underpinning for his concept of the spiral curriculum which posited the idea that a curriculum should revisit basic ideas, building on them until the student had grasped the full formal concept. 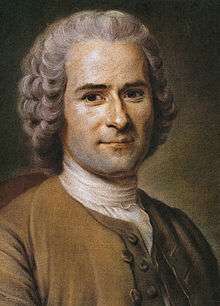 He emphasized intuition as a neglected but essential feature of productive thinking. He felt that interest in the material being learned was the best stimulus for learning rather than external motivation such as grades. Bruner developed the concept of discovery learning which promoted learning as a process of constructing new ideas based on current or past knowledge. Students are encouraged to discover facts and relationships and continually build on what they already know. Educational essentialism is an educational philosophy whose adherents believe that children should learn the traditional basic subjects and that these should be learned thoroughly and rigorously. An essentialist program normally teaches children progressively, from less complex skills to more complex. Contemplative education focuses on bringing spiritual awareness into the pedagogical process. Contemplative approaches may be used in the classroom, especially in tertiary or (often in modified form) in secondary education. Parker Palmer is a recent pioneer in contemplative methods. The Center for Contemplative Mind in Society founded a branch focusing on education, The Association for Contemplative Mind in Higher Education. ↑ Cahn, Steven M. (1997). Classic and Contemporary Readings in the Philosophy of Education. New York, NY: McGraw Hill. p. 197. ISBN 0-07-009619-8. ↑ Locke, John (1764). Locke's Conduct of the understanding; edited with introd., notes, etc. by Thomas Fowler. Oxford: Clarendon Press. p. 44. ↑ Locke, John (1764). Locke's Conduct of the understanding; edited with introd., notes, etc. by Thomas Fowler. Oxford: Clarendon Press. pp. 44–45. ↑ "Stanford Encyclopedia of Philosophy". Retrieved 22 December 2008. ↑ Neil, J. 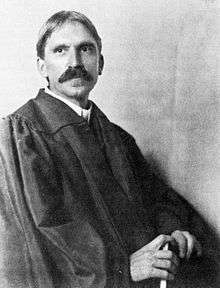 (2005) John Dewey, the Modern Father of Experiential Education. Wilderdom.com. Retrieved 6/12/07. ↑ Gutek, Gerald L. (2009). New Perspectives on Philosophy and Education. Pearson Education, Inc. p. 346. ISBN 0-205-59433-6. ↑ "International Bureau of Education - Directors" <http://search.eb.com/eb/article-9059885>. Munari, Alberto (1994). "JEAN PIAGET (1896–1980)" (PDF). Prospects: the quarterly review of comparative education. XXIV (1/2): 311–327. doi:10.1007/bf02199023. ↑ Zigler, Ronald Lee (1999). "Tacit Knowledge and Spiritual Pedagogy". Journal of Beliefs & Values: Studies in Religion and Education. 20 (2): 162–172. doi:10.1080/1361767990200202. ↑ "ISPME Home". Retrieved 12 November 2010.